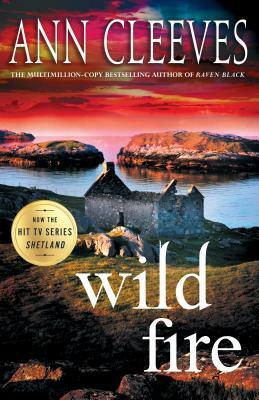 This week I’m featuring Wild Fire by Ann Cleeves, one of the books I’m planning to read soon. It’s the 8th and last book in her Shetland series. Emma sat on the shingle bank and watched the kids on the beach below build a bonfire. They’d dragged pieces of driftwood into a pile; it was something to do to relieve their boredom. Nothing much happened in Deltaness. I loved Ann Cleeves’s Shetland Quartet – Raven Black, White Nights, Red Bones and Blue Lightning, so I was delighted to read her latest book, Dead Water, which takes the Quartet one step further. Actually, it’s the first book in a new Shetland Quartet, in which each book will be named after the four elements – earth, air, fire and water. Each of the Shetland books reads well as stand-alones, but I think it’s better to read them in order as you can then follow the development of the main characters. And Dark Water does refer to events in earlier books. In Dead Water Rhona Laing, the Fiscal, finds journalist Jerry Markham lying dead, drifting in a yoal, a traditional Shetland boat in Aith marina. Markham, a Shetlander visiting his parents, was apparently working on a story for a national newspaper – maybe about the development of renewable energy proposed for Shetland, or maybe his reason was more personal? Detective Inspector Jimmy Perez is not the man he once was, since the death of his fiancée and at first he takes a back seat in the investigations, led by Detective Inspector Willow Reeves (originally from the Hebrides) who is drafted in from the Inverness team to head up the investigation. But eventually his natural curiosity takes over and he decides to help the inquiry, and his knowledge of the local community is vital in catching the killer. I really enjoyed Dead Water, a mixture of mystery and the creation of totally believable characters, set in Shetland Mainland. 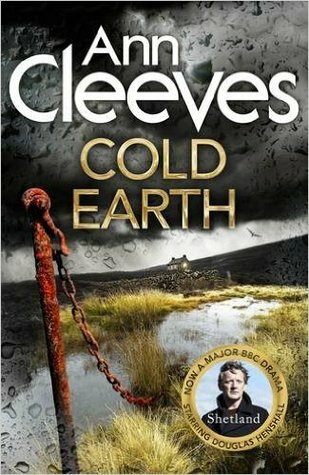 The book is well paced, with the tension steadily building and Ann Cleeves writes with clarity, so that you can easily picture the people and the places she describes. She gives just the right amount of detail for the reader to feel immersed not only in the story but also in the life of the islands – the history and traditions, and the changes brought about the development of sustainable energy. Last Tuesday evening D and I went to Main Street Trading bookshop where Ann Cleeves gave a talk about how she first went to Shetland and came to know and love the islands. She also talked about her decision to write crime fiction based in Shetland, and how she first pictured a scene in the snow which eventually became the first book, Raven Black, after hearing stories of the islands from an old Shetlander. She also spoke about the new BBC TV Shetland series, which she told us is being broadcast in March, beginning with an adaptation of Red Bones. Admittedly Douglas Henshall, playing the part of Perez, is not her vision of Jimmy Perez, after all, Perez has long dark hair with Spanish ancestry in his blood, whereas Douglas Henshall is redheaded Scot, but she is happy both with him in the role and with the alterations that have been made. As she explained, once she has finished writing a book it passes out of her hands and each reader has their own individual interpretation. She cannot see what is in the minds of readers, but she can see the director’s interpretation in the TV version of her book! I’ve seen the trailer and it does look good. Ann Cleeves is an excellent speaker, just as she is an excellent writer. On her website you read about her books and the forthcoming series and also download a leaflet Discover the Mystery of Shetland which has a map, beautiful colour photos and a commentary from Ann about the real and fictitious locations in her books. It’s very good – I was given a copy last Tuesday.